Contains 1x 1", 1x 1.5" & 1x 2" brushes. Quality professional paint & varnish brushes, made with 100% synthetic filament for an improved finish. Stainless steel ferrule. 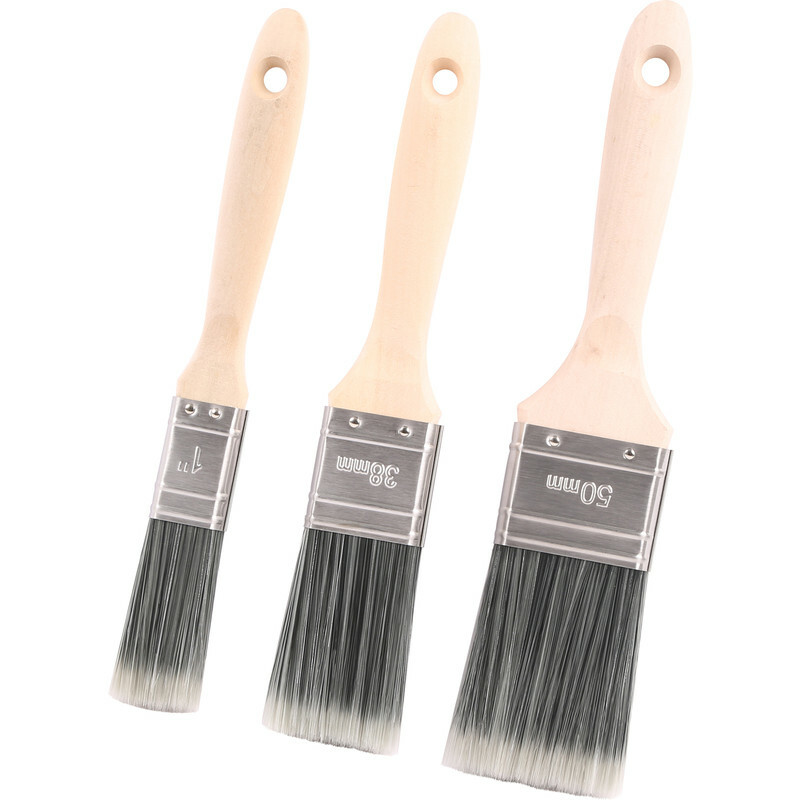 Prodec Decorator Brush Set 3 Piece is rated 4.0 out of 5 by 1. Rated 4 out of 5 by NiceDay from Good for the price These are easy to use, bristles remain intact and in shape, they also hold a good load of paint without dripping. I found the brushes easy to clean as well (of emulsion). Cheap enough that I will just replace them at the first sign of a problem. The wooden handles are a bit on the skinny side and that would be my only complaint.